Klara Zimmer (Claire) was born Klara Kohn on October 27, 1912 in Bucharest, Romania. Her family was Czech and returned to the Moravian town of Kromeriz at the outbreak of World War I. Her father, Edward Kohn, was killed in that war. Klara and her widowed mother Elsa were taken in by Elsa’s brother, Emil Brand, who ran a café called Kavarna Brandova. The family was assimilated but did not hide their Judaism. Klara was a frail but spirited child who adored learning and tennis, and was active in the Macabi, a Zionist organization. Klara was trained for dressmaking. It was not until she was past 80 that she shared with me, her lawyer daughter, her early ambition to study law. Her first marriage was to a pediatrician, Alfred Loff. By the time they understood the gravity of the situation for the Jews of Czechoslovakia, they were unable to obtain visas to the U.S. or any other country other than India. But India would not accept Elsa. The family stayed together and was deported together on June 27, 1942 to the Terezin ghetto. Klara devoted herself in Terezin to taking care of Elsa, who was nearly blind. Klara worked in the housing administration of the ghetto. Alfred worked as a pediatrician in the children’s barrack. He voluntarily accompanied a transport of children to Auschwitz where they were all gassed. Not wanting to be separated from Alfred, and not knowing what Auschwitz represented, Klara and Elsa joined the next transport. On arrival in 1944, Klara and Elsa stood before Josef Mengele for selection. When Mengele pointed Elsa to the gas chambers, Klara tried to follow but was beaten back. After the selection, Klara was in a group of 1,000 women sent for slave labor to an airplane factory in Freiberg (Sachsen), Germany (a satellite of the Flossenberg camp). Soon after the firebombing of Dresden, her group was transported to the Mauthausen camp in Austria. She was liberated in May 1945 by the American Army. Klara returned alone to Kromeriz. In late 1945, she met Josef Pepik Zimmer, a survivor who had lost his wife and child in Auschwitz. They married and immigrated to Montreal, Canada after the Communist coup in Czechoslovakia in 1948. In Canada, Klara took in sewing alterations to pay for my piano, ballet, French, and German lessons. In 1963, the family moved to San Diego. Klara immigrated again in 1995 to live with her daughter, Jana, and Jana's husband in Santa Barbara, where she enjoyed the ocean and her bridge games. She died peacefully in her own bed on October 31, 2000, as was her most fervent desire. 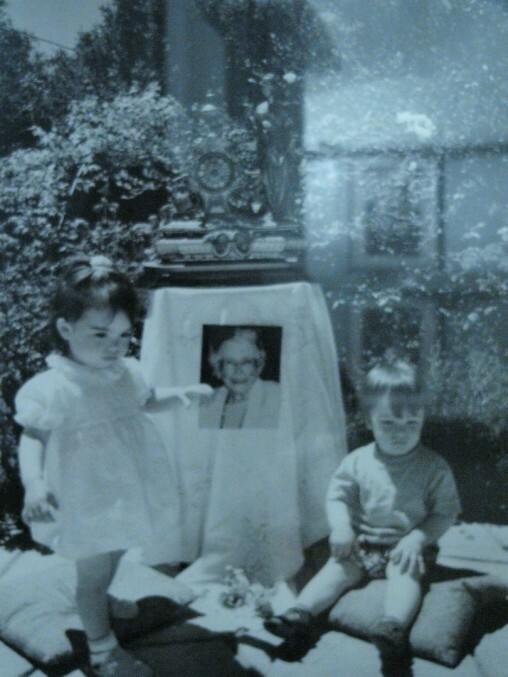 Her great-grandchildren Max and Sophia were born in August 2001. They will be taught that in her modest life she embodied courage, compassion and a fine sense of justice.